The readings (i.e., Daniel, Vallier, Siebert, and Cohen & Rosenzweig). Since the beginning of this course, what—exactly—have you learned about digital collaboration and publication? Of that learning, what’s been most beneficial? 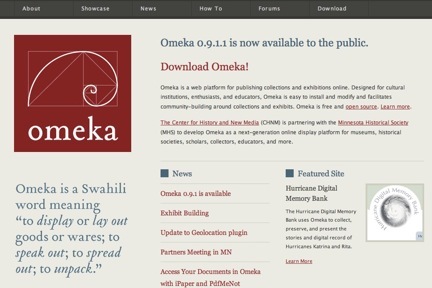 How is our Omeka project linked with local culture and people’s everyday lives, and why do those links matter? At this juncture in the course, what else—exactly—do you want to learn? What’s currently missing from the learning experience and praxis that matters for you? Finally, at some point when addressing these questions, please reference at least two of the above readings, drawing quotes / evidence from the texts when necessary. Feel free to write informally. The statement is due by Thursday, February 17th at 5 p.m. It takes the place of your usual change log, which is not due this week. Please categorize your response under “statement 2″.